On May 4, 2017, the leadership team of Saint Leo University visited Team Orlando for an exchange of information. Located between Lakeland and Tampa, Florida, Saint Leo now serves more than 16,000 students from 49 states and 86 countries. Dr. Bill Lennox, president of Saint Leo, gave an overview of the university to the board of directors emphasizing the rich history between Saint Leo and the United States military. 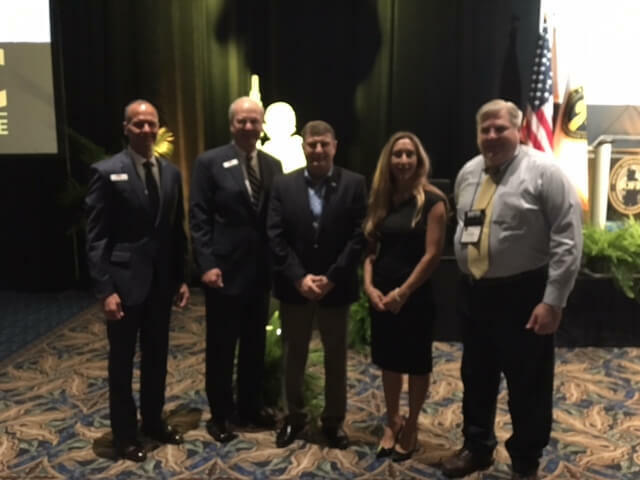 Saint Leo University leadership visited Team Orlando and gave an overview of the university to the board of directors emphasizing the rich history between Saint Leo and the United States military. 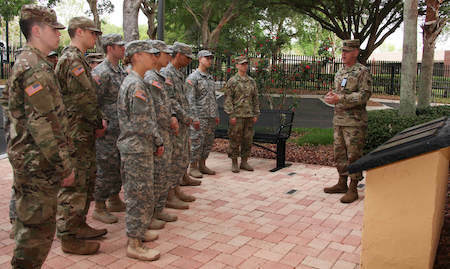 Lennox, a retired Army Lieutenant General who once served as the superintendent of the United States Military Academy, discussed Saint Leo attributes and how it ranks among the five largest Catholic higher education institutions in the United States. Following Lennox was Dr. Jeff Borden, Saint Leo Chief Innovation Officer, who presented to the Team Orlando board their defining work as a learning university. Of particular interest to the board was his strategies on promoting the science of learning as an effective practice, research-driven and scalable, engaging students mentally, emotionally and socially. These strategies demonstrated how bringing together neuroscience, learning design, and education technology into an “Education 3.0” platform can have a dramatic effect on transforming a collaborative teaching and learning environment. Also in attendance from Saint Leo was Pamela Martis, a retired Army colonel, and director of military affairs and services, who discussed how Saint Leo is one of the leading providers of higher education to the military, as well as military spouses. They received the 2017 Top 10 Gold-level Military Friendly School Award. 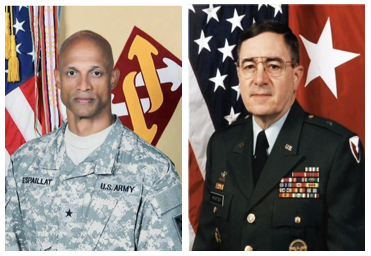 The last member of the Saint Leo leadership team was another former Army officer, Bob Quinn. Quinn joined Saint Leo as vice president of business development in 2016 after serving 10 years as the deputy director for intelligence community programs in the School of Engineering at George Mason University. He was a former instructor of information in systems and technology. Quinn will be serving as the Team Orlando point-of-contact. Prior to meeting with the Team Orlando Board of Directors, the Saint Leo staff had a luncheon with the National Center for Simulation’s president and CEO, Lt. Gen. (ret) Thomas Baptiste. 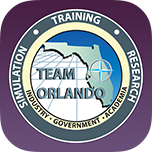 After lunch, Dr. Neal Finkelstein, chief engineer at the Army Research Lab-Orlando (ARL-Orlando) delivered a presentation highlighting Team Orlando, the I-4 High Tech Corridor STEM Initiatives, and the research thrusts at ARL. 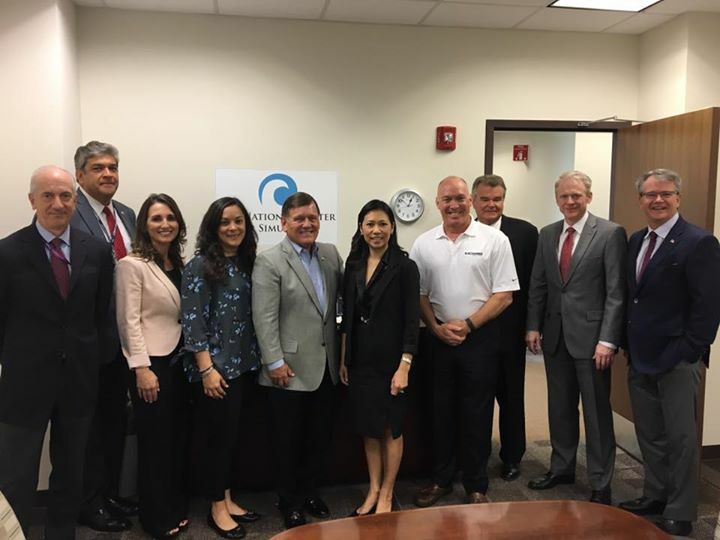 After the visit, Finkelstein reported that he was very impressed with the long history of Saint Leo’s work with the military and SOCOM, as well as their cutting edge approach to integrating artificial intelligence and data mining. Dr. Finkelstein said, “I am aware of other colleges beginning to do this, but I think the difference with Saint Leo is that you are hearing this from the president and his leadership team; they are the ones talking about the details of an Education 3.0 learning environment. “They realize it’s not just about the three R’s (reading, writing and arithmetic), but to be successful today, students have to excel at the four C’s which include: critical thinking, creativity, collaboration, communication and problem solving. 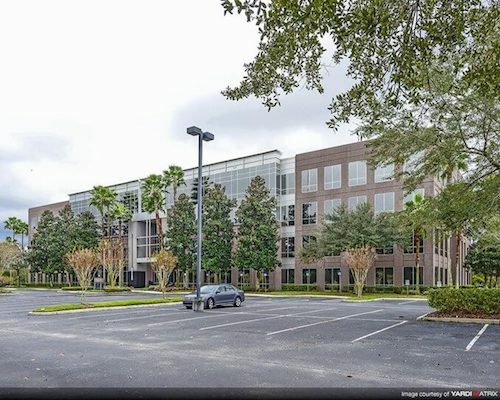 I think that is why the Army is looking to Saint Leo University to help accelerate the incorporation of learning science at some of its locations,” Finkelstein added.